Summer won’t be this size forever, but for now she loves to be carried around like one of Paris Hilton’s pocketbook dogs. 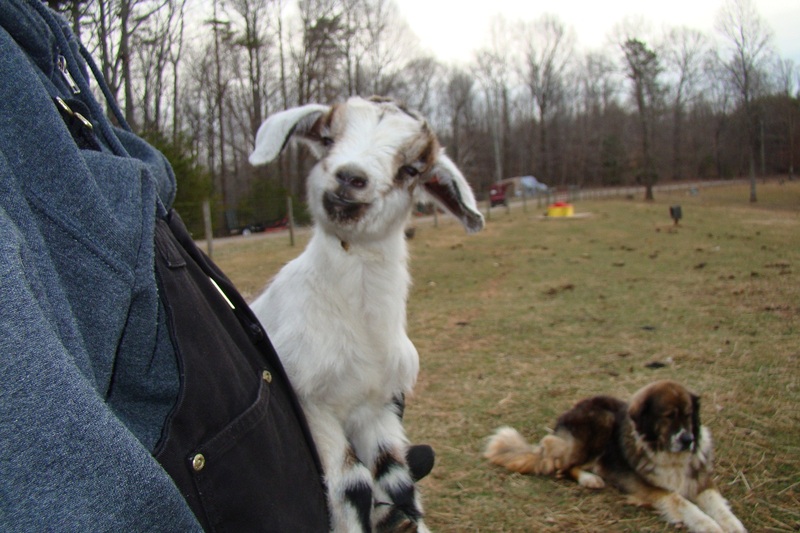 There are advantages to being raised by humans instead of goats. You get lots of attention!